iPad is an ideal device to view photos. Its touch-screen enables you to zoom pictures, flip them and move from one photo to another simply with a finger touch. iPad can collect and store your photos. All you need is to import ready pics from your computer. If you want to transfer photos from PC to iPad, you can use iTunes. However, its complicated file transfer method is a serious obstacle for many people. Fortunately, there is a much easier way to copy pictures from computer to iPad with the help of Dropbox and here's our step by step guide about it. Aren't there too many steps to go for copying several family photos? Lots of people thinks so and search for a simpler and more elegant way to copy images from a computer to iPad without bulky iTunes. The best tool I can recommend for transferring photos from PC to iPad is Dropbox. Dropbox is a free app for Mac, Linux, and Windows computers (as well as netbooks). It stores a copy of your photographs in a cloud server and delivers your files to all devices including iPad, iPhone, Android etc. 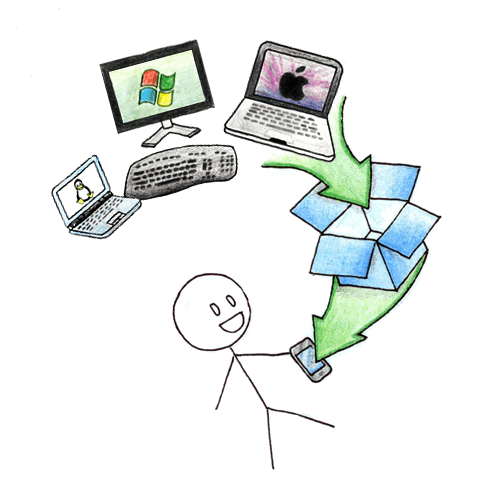 Dropbox is incredibly simply to use and doesn't require any advanced configuration or tech skills from your side. Open a photo, click the arrow sign in the upper right corner and save the photo to your library. You are done. Now all your images from computer are stored on your iPad. No need to deal with iTunes, learn how it works (watch these Apple video guides) and read Mac forums. 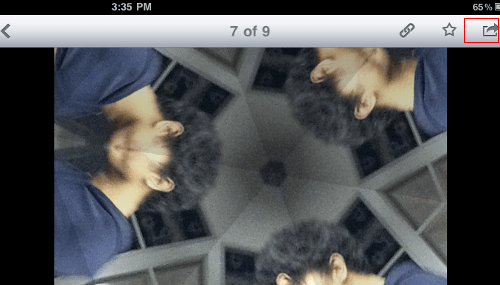 Just get Dropbox and enjoy your pictures on any device. As you see, photos are transferred to iPad easily and in a hassle-free manner. I have over 5000 photos to get onto my iPad... is there a way to get Dropbox to copy a whole folder at once? 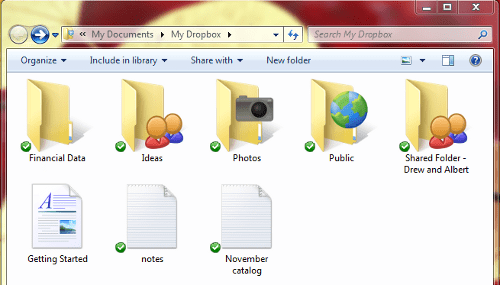 You can create a new folder inside Dropbox folder and place your photos there. Then, Dropbox will transfer all folder to iPad. But I have to say Dropbox has limits. First of all, it's size. So if you 5000 photos exceeds your free 2 GBs storage space, Dropbox won't sync them all. Besides, many things depend on your Internet connection speed. Once, I was on vacation with pretty slow Internet connection and I wanted to upload about 250 photos to my iPad, so the whole process took about 1.5 hours. So it's not always possible to call file transfer to iPad via Dropbox with "at once" phrase. I followed instructions carefully but not ONE of my pictures went from Dropbox to the Photo Gallery on my iPad. Any possible reason? Do you want to transfer photos from Dropbox app on iPad to Photo Gallery on iPad? 3) select save to photo gallery. You are right. You can save only one pic at a time from Dropbox iPad app into your iPad photo gallery. Seems strange. Maybe the image wasn't transferred completely by Dropbox onto your device. That's why it's not available for uploading to your blogspot. Why won't dropbox let you save a video file to your IPAD. To save video from Dropbox to your iPad video gallery, you need to copy a video file from Dropbox onto your iPad being online. If you have no Internet access, your video won't be copied to iPad from Dropbox. When I select a photo from drop box and click on the button to export photo to iPad Photos, it takes a few minutes to export it but then a box appears that says the export failed. What should I do? First of all, while you are transferring photos make sure your are connected to the Internet. Once I was transferring photos from my Dropbox to iPad, I've got anerror message due to lack of the Internet access. Secondly, make sure you have enough free space for your photos on your iPad. Also check if you have the latest Dropbox app version on your iPad. Visit AppStore app on your iPad and see Updates section. If you see Dropbox update there, don't hesitate to update it. Very fast at what it does - but a few things it just doesn't seem to do that I'd expect it would. So it puts pictures up on Dropbox on iPad fine, but when I try to transfer them to the camera roll, I have to do them all individually. And though the vids look good and play wel, I can't move them to anywhere else on iPad. Previous Previous post: Clipart: Where to Get Free Images without Watermarks?